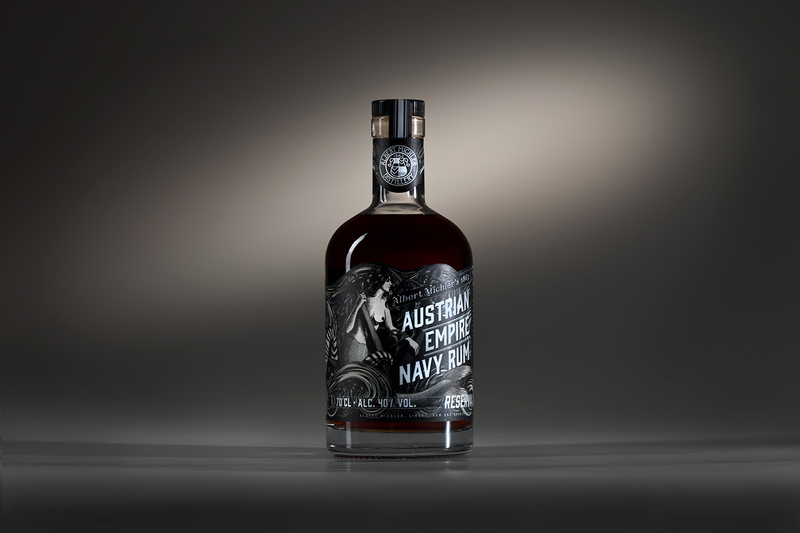 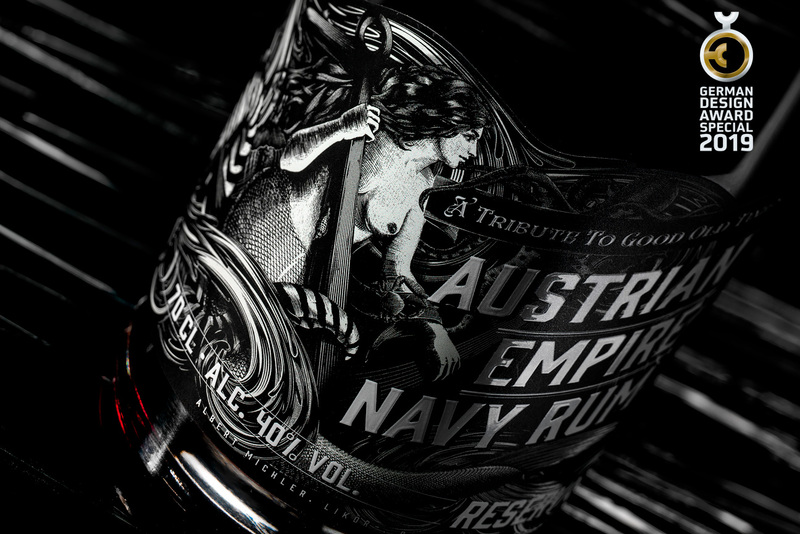 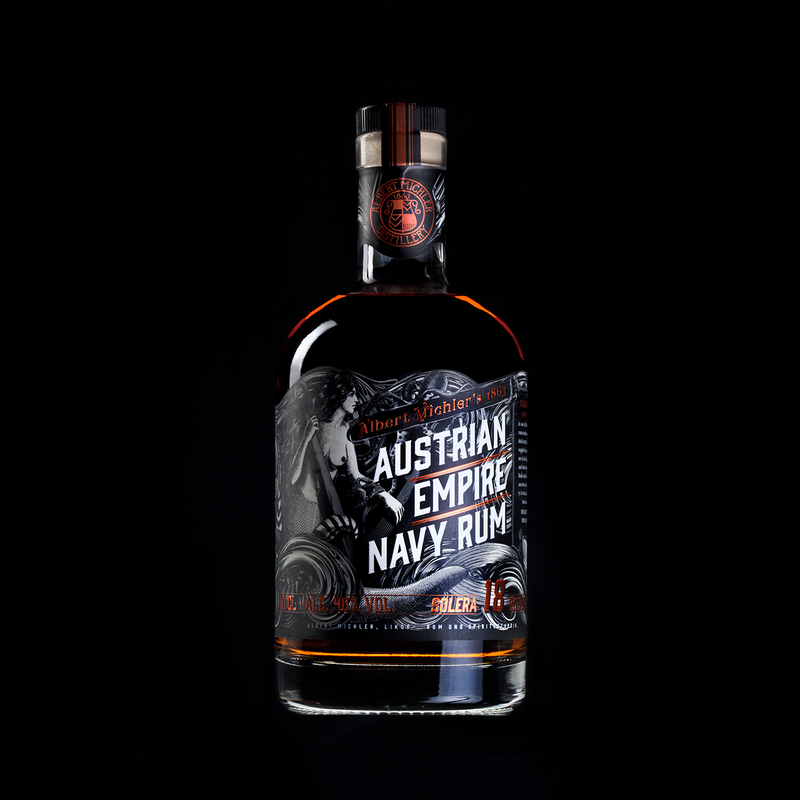 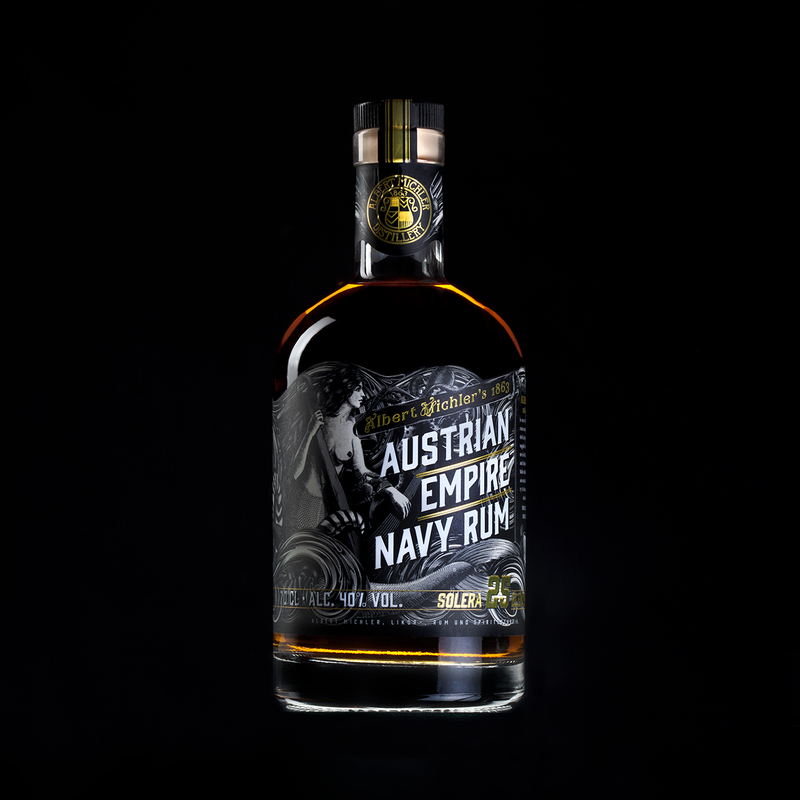 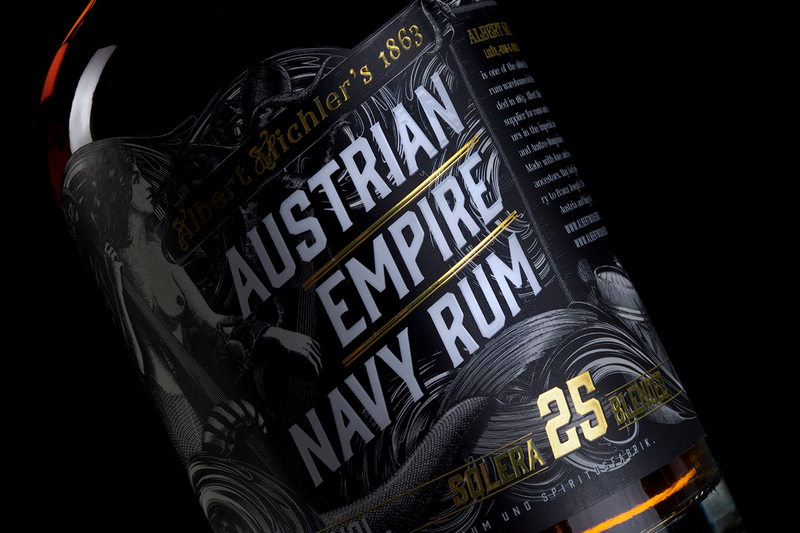 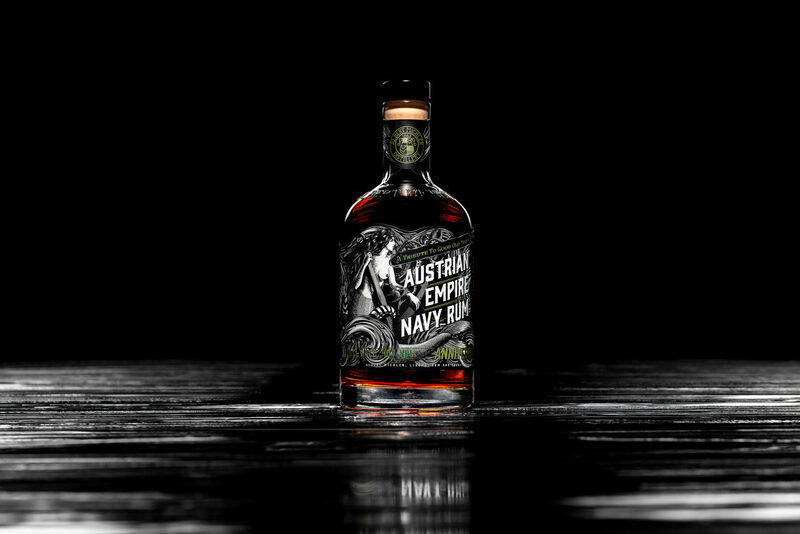 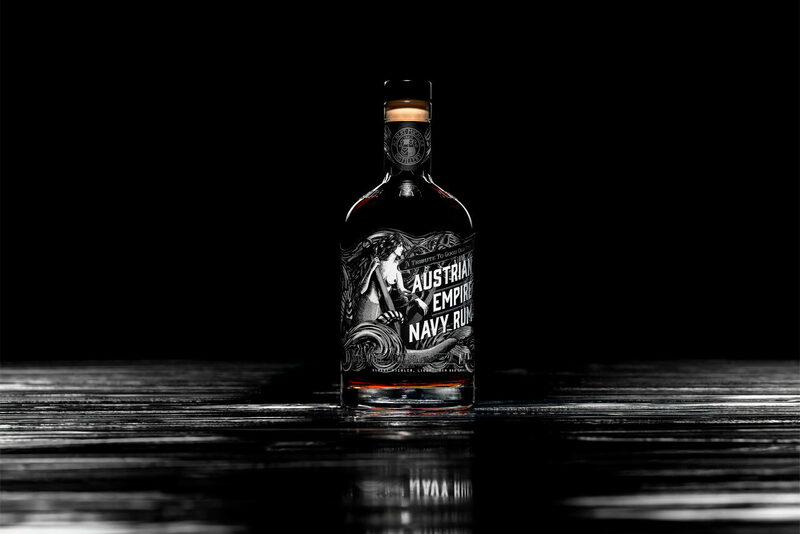 Development of the Austrian Empire Navy Rum brand. 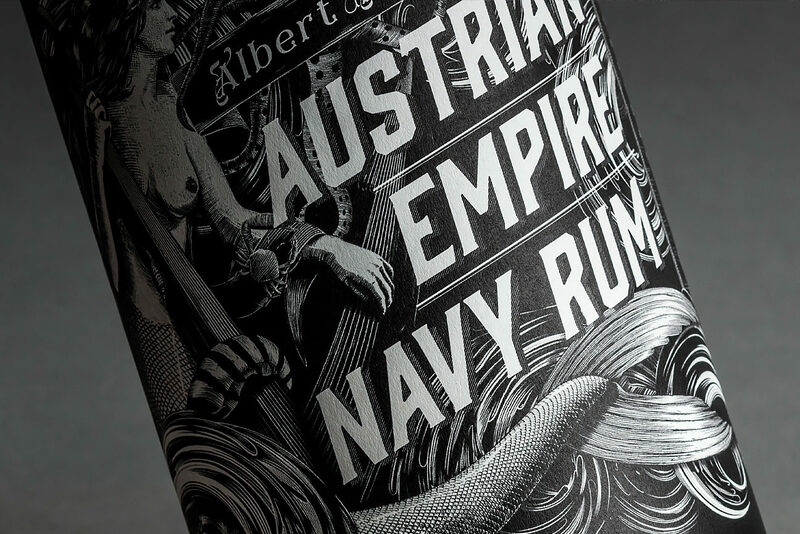 We bet on stylization that resembles engravings from the late 19th century. 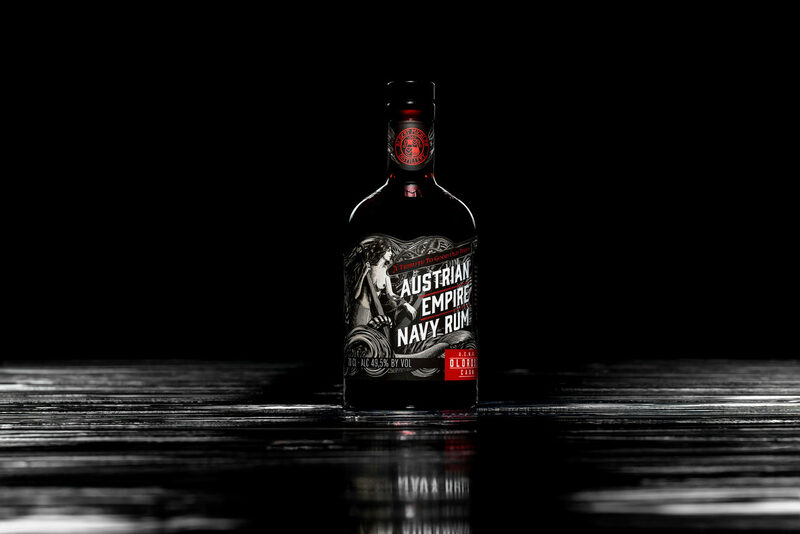 In our country it is also a connection with J. Verne and K. Zeman, a general remembrance of Belle Époque (French: Beautiful Times) – a word mark of European history between 1890 and 1914. 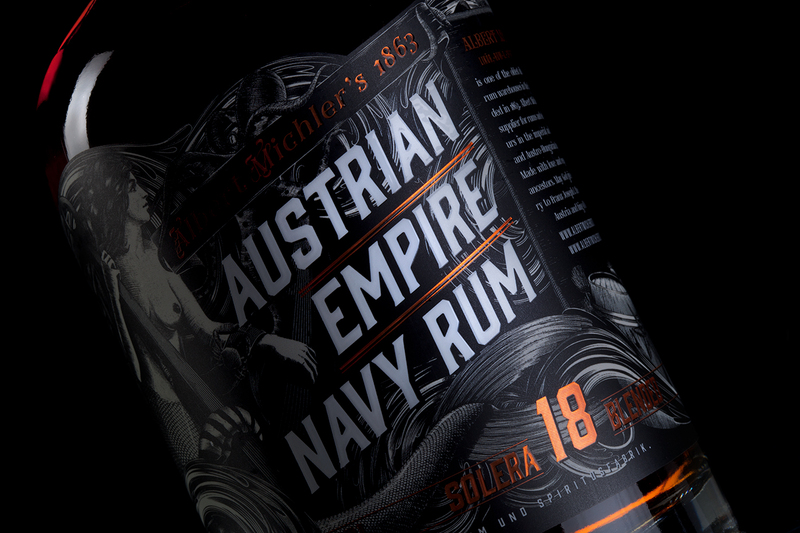 The white component of the drawing is suppressed to stand out in branding of the brand and at the same time creating imaginary layers for better orientation. 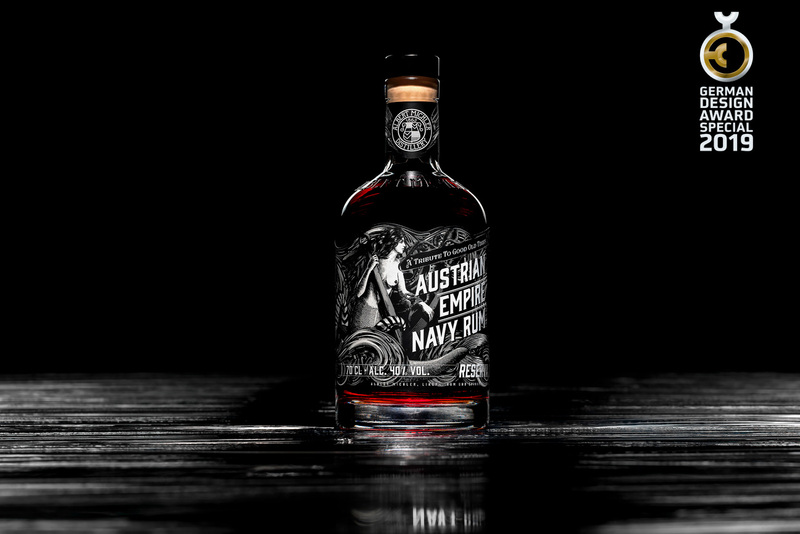 The main symbol of the label has become a mermaid, around which the nautical iconography is depicted in waves. 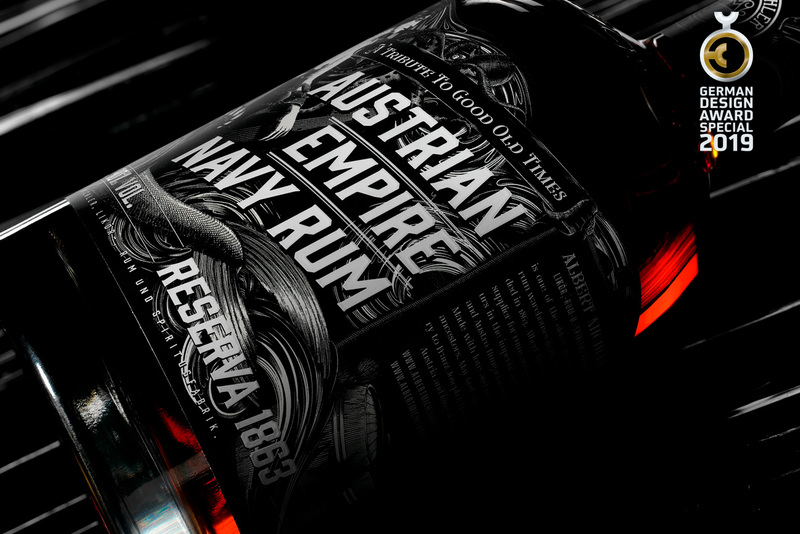 The brand logo has become a double-headed eagle, stretched to A (ustrian). 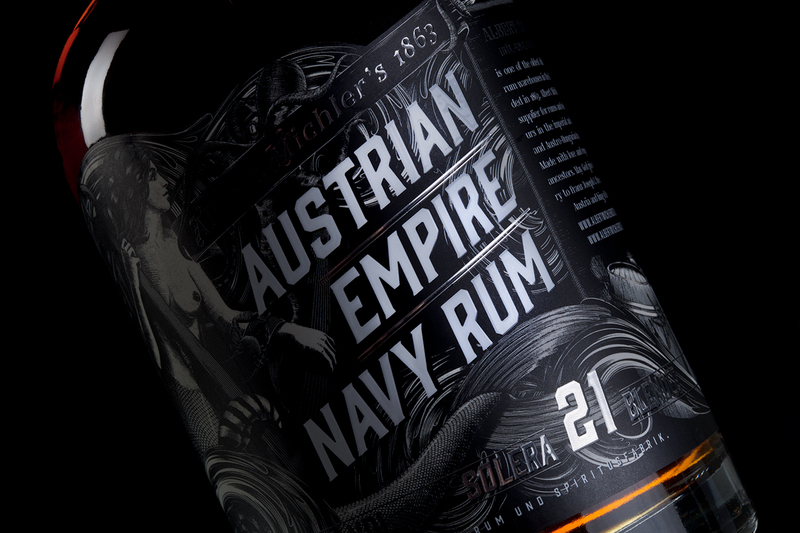 Anchor, barrels, rigging, starfish, fish and the sea. 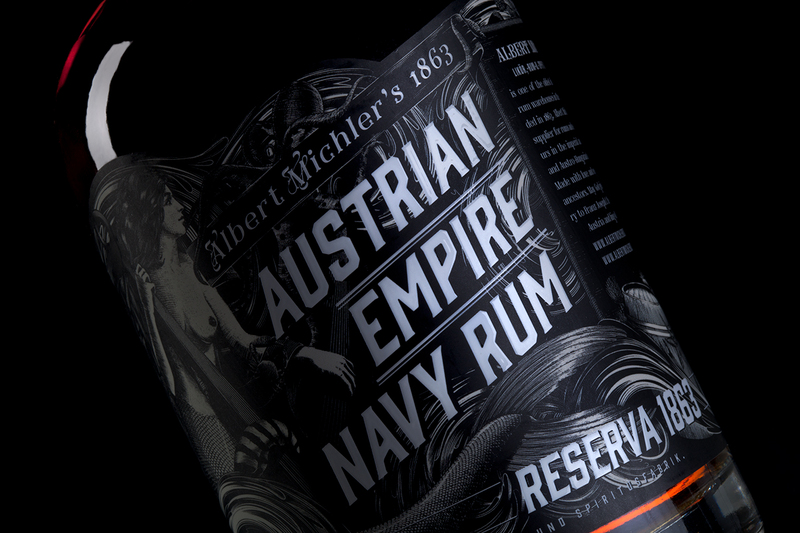 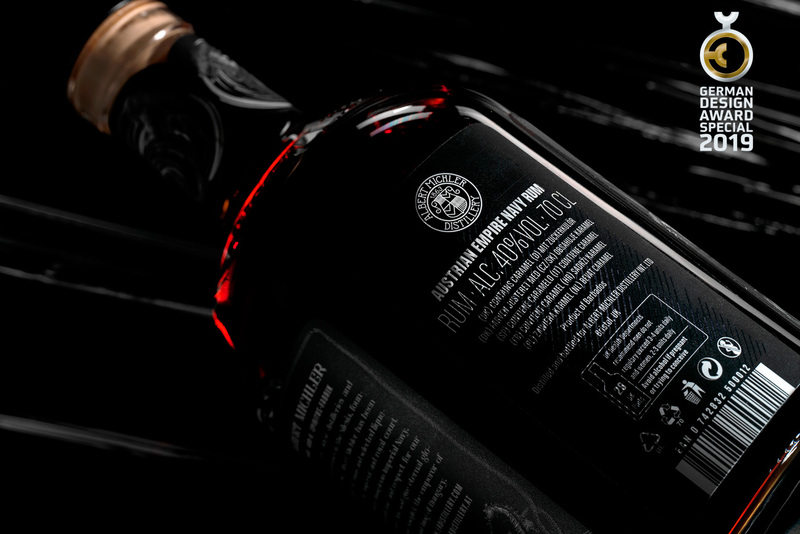 We created the main brand Albert Michler Distillery from Buchsdorf. 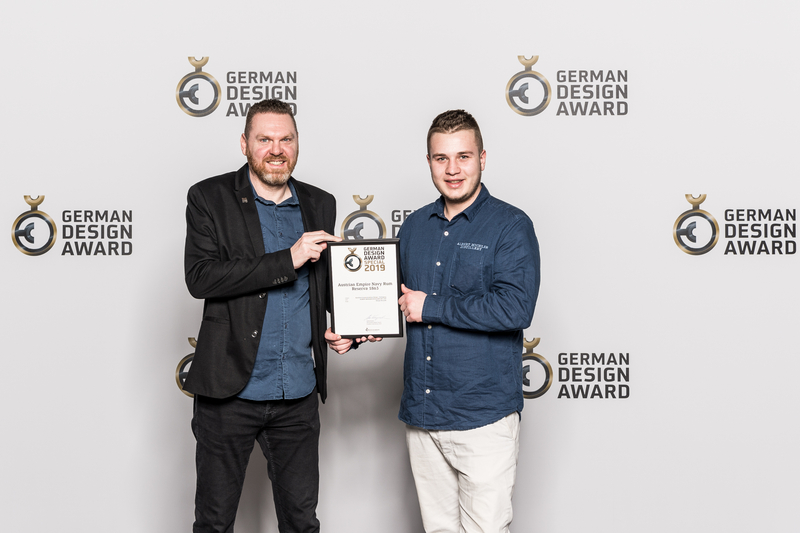 In November 2018, we received for our work a German Design Award 2019 Special Mention. 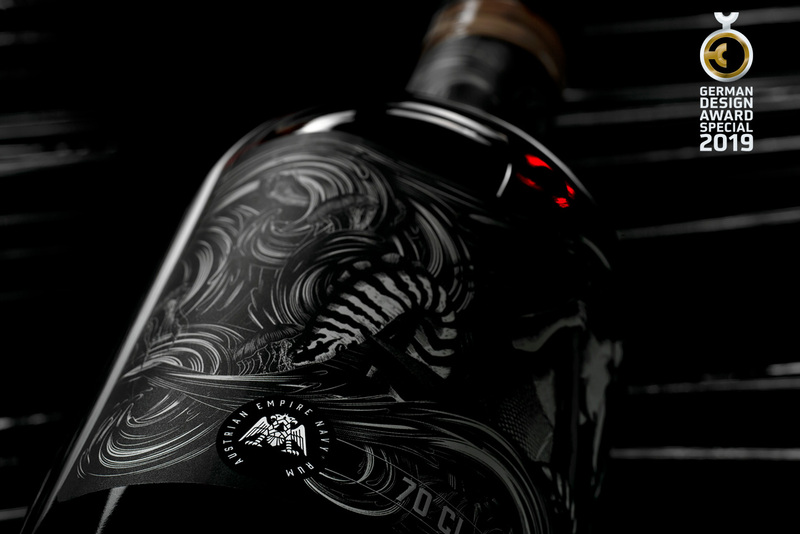 Design Herynek — Mlýnská 938/4, CZ-77200 Olomouc © Jan Herynek, 2002-2019. Všechna práva vyhrazena. 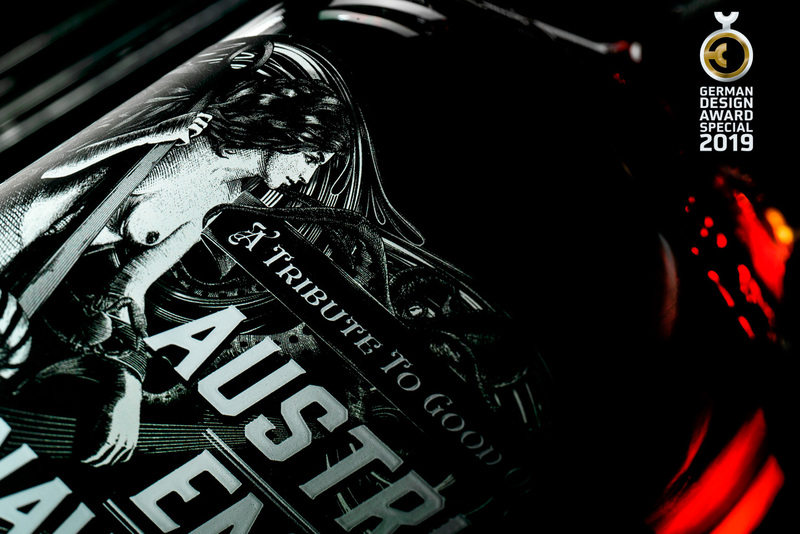 / All rights reserved.